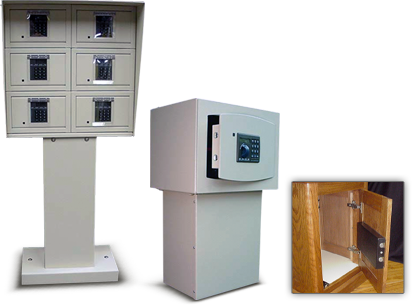 Knox Electronic's steel fabrication department can manufacture custom sized safes, lock boxes, pedestals, weatherized exterior cabin units, wall mounted recessed safes, and drawer safes to your specifications. We can work from drawings, sketches, mock-up samples, or photos of similar products. Allow us to review and submit a proposal. Ready to discuss your custom build project?